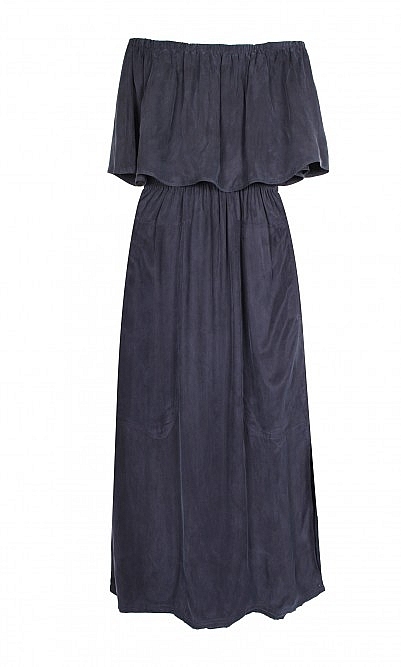 Easy off-the-shoulder ruffle dress cut from silky navy cupro with a cinched-in elasticated waistband and side slits. Cupro/rayon. Cool wash.